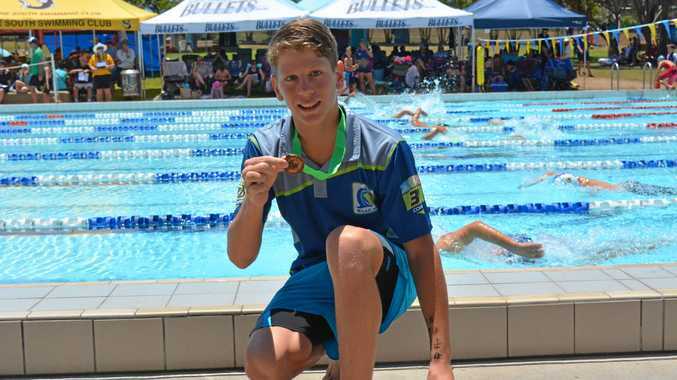 SWIMMING: There were medals, personal-best times and close races won and lost at the 2018 edition of the Liquid Energy Swim Championships at the Gladstone Gladiators Swimming Complex on Saturday. 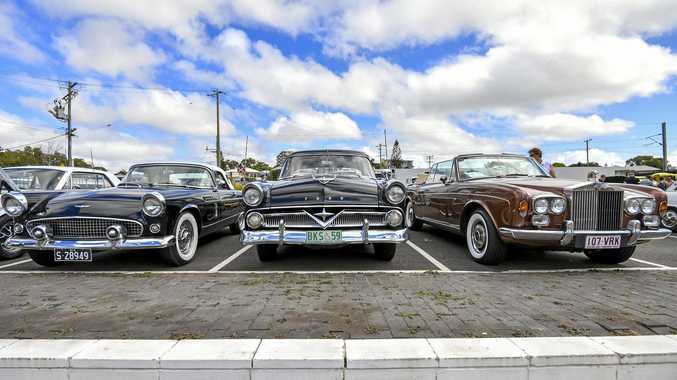 Gladiators finished first while Gladstone Souths were second overall in the event that attracted clubs from Rockhampton, Bundaberg and Biloela. Among the swimmers was Western Suburbs Waves Swimming and Triathlon Club's Sam Burton. Twelve-year-old Sam stormed home in the 50m butterfly in 39sec in somewhat of a surprise to him. "I tried to get a personal-best time, but I did more than what I expected,” he said. He said Wests coach Ryan McLoughlin has been a big influence in a sport that started out with some brotherly love. "I had friends doing swimming and my older brothers Nicholas and Riley did it as well,” Sam said. Rising Boyne-Tannum Bullets Sally Vagg was as usually humbled with another win and medal in the 50m butterfly. Sally, also 12, swam in a time of 30.74sec. "It was a bit above my PB, but was still close,” she said. As enthusiastic Bullets head coach Kate Bell watched on from the side of the pool and Sally said she had been massive in her development. "We have been training really hard and working on our technique as well,” Sally said. Gladstone Souths also have a star on the rise in nine-year-old Jazmyn Thorne who recorded a PB in the 25m freestyle. "I went great and have only been swimming for 18 months,” a happy Jazmyn said. Souths president Ryan Chinner said the club finished with four age champions and three runner-up age champions. They were Jacob O'Mealley in the 15-year boys, younger brother Caleb in the 14-year boys and Jesse Hayden in the 12-year boys, and Ella Cox in the 8-year girls divisions. Kai Chinner (11-year boys), Kayden Gibson and Zilzee Andrews in the 10-year boys and girls respectively, were the runner-up age champions. "We're stoked and to be picking up those sorts of age champs and runner-up age champs at these meets means that the kids are on fire,” Chinner said. See Rebecca Devine's Gladiators wrap in tomorrow's The Observer.